Custom Step Stool for Child. Useful in bedroom, kitchen, bathroom. Great for that little girl or boy who can't quite reach! 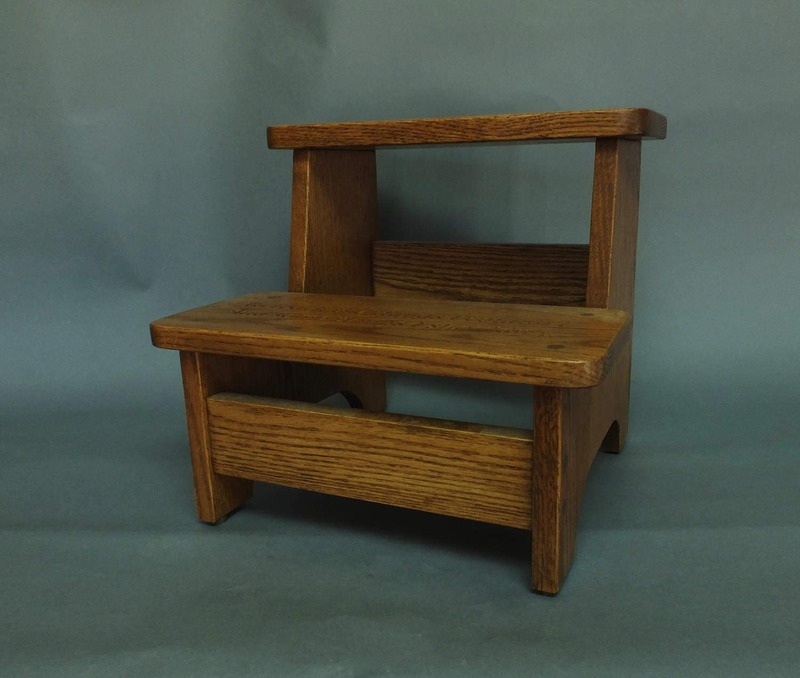 This beautiful custom step stool is perfect for a child or adult who needs just a little step up! Give your child this beautiful, functional, unique gift. The child's name can be engrave on the front of the step, or engrave with "from" and a date! 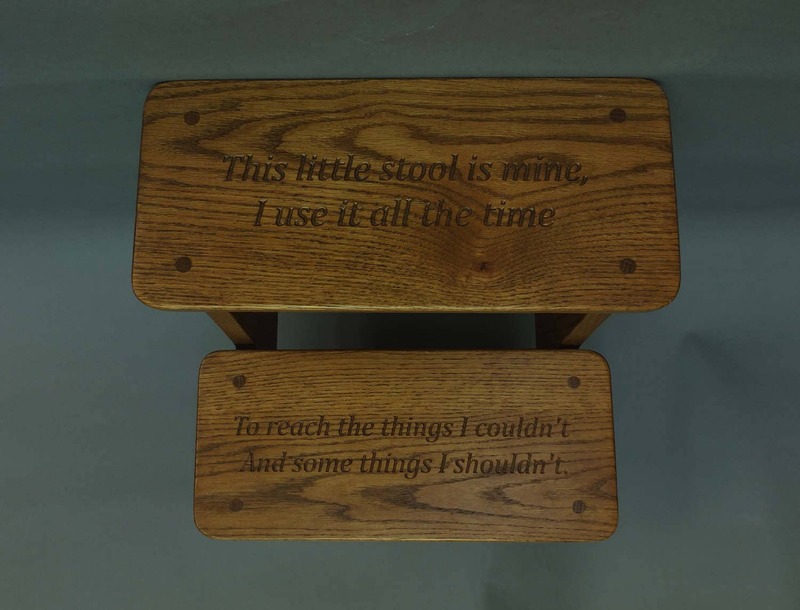 This personalized stool can be ordered in natural red oak, or request a medium or dark stain. The price listed here includes engraving on two steps. Add a name or a 'from and date' for an addition $5. When ordering, specify the desired name in the notes to Moose Works field. 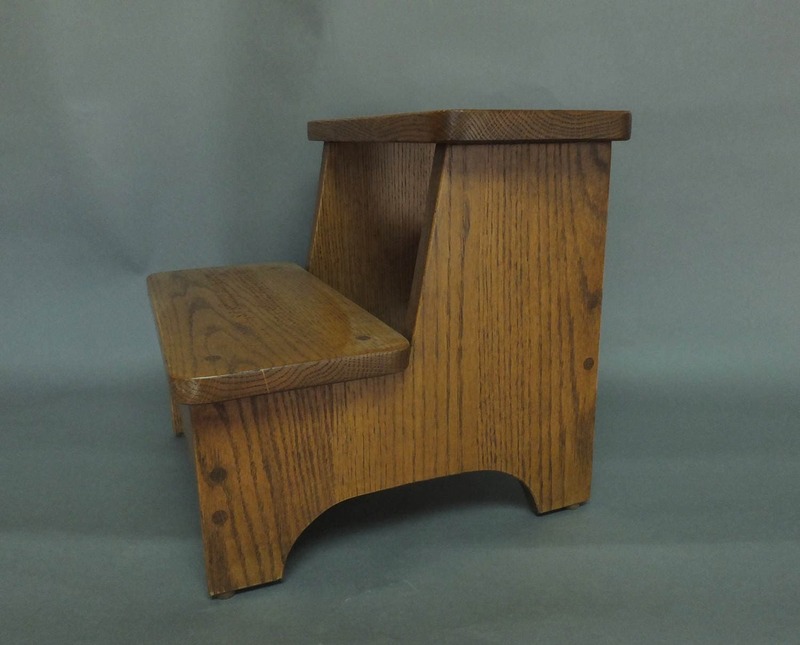 If the step stool with engraved 'from and date' is ordered, specify names and date. Shown as medium stained red oak. The stool is finished with two coats of high quality conversion varnish. We use a CNC engraver to create this product. The carving on the steps is deep, allowing the play of light and shadows to contrast with the wood grain and color . We use only North American hardwoods, preferring to source our materials locally rather than get exotics shipped from other continents or bamboo, which is loaded with fillers in order to produce a wood-like material from a grass.